i'm gonna be a big sister!! Congratulations!! 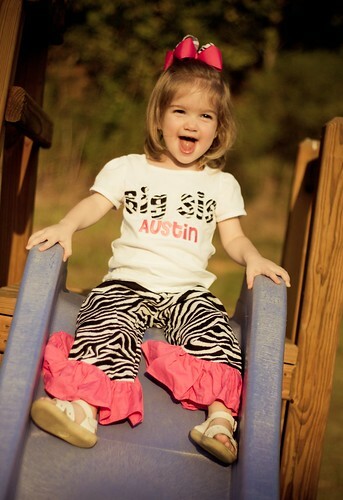 I also LOVE Austin's pants, so adorable! Congrats! I wondered the other day when I read your mom's blog, but I hated to ask. So excited for you guys and her outfit is adorable just like her!! !